Ramada by Wyndham Beach Hotel Ajman offers a range of convenient services and facilities to make your stay more enjoyable. Relax beside the azure blue waters of the Arabian Gulf, on the sands of our exclusive private beach. The Ajman corniche is adorned with soft white sand and the blue waters of the Arabian Gulf lapping the sands is a blissful and relaxing experience. Watching the sunset on the corniche is a truly soulful experience and the perfect way for guests to end their day. 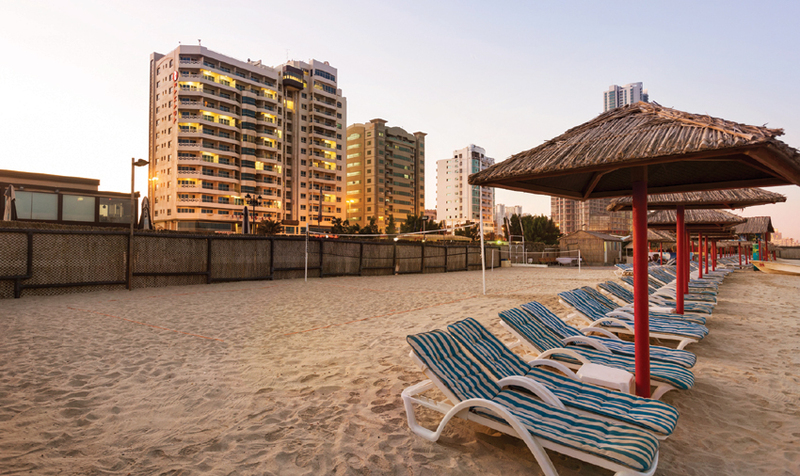 Ramada by Wyndham Beach Hotel Ajman private beach is not just a luxury escape, but is a chance to rejuvenate your spirits through an array of personalized spa treatments offered by our experts. Pamper your body and soul at our private spa treatment rooms with its stunning oceanic views and divine tranquillity. The private spa rooms is personalized for men and women. The guest can indulge in Ayurvedic massages to revitalising facials to rejuvenate and enlighten their body and soul. The Elegance Spa in our private beach is the best place to rediscover yourself. At Ramada by Wyndham Beach Hotel Ajman you don’t need to hang around at the front desk, make the most of our convenient express check-in and check-out service and make sure you’ve got more time to enjoy your stay or conduct your business. Our hotel concierge service is there to enhance your stay, providing assistance with transportation, city tours, restaurant reservations and more. We provide the latest currency exchange rates between your choice of currencies. Our currency exchange service is an invaluable service for anyone wanting to ensure that wherever their business or pleasure travels take them, they always have the appropriate currency. We also accept all major credit cards. So if you prefer not to carry cash when you travel, you can enjoy the convenience of using your credit card. To make your stay at Ramada by Wyndham Beach Hotel Ajman as convenient as possible, we offer free wi-fi coverage in all the guest rooms and public areas inside the hotel. Ramada by Wyndham Beach Hotel Ajman’s Laundry is professional in the field of Laundry & Dry cleaning services, as a part of green hotel chemicals & products used in this laundry are eco-friendly. We are using Purified water in our Laundry with low TDS (Total Dissolved Solids). Which is treated by our own RO. Plant (Reverse Osmosis Plant) and water Hardness treating by “Water Softener” for the best quality of water & excellent results of set washing formulas with automatic dosing system of chemicals; its helps for long life of the fabrics & it’s cleaned the fabrics with low temperature and Neutralizer maintained the pH. Level (Potential Hydrogen) of the fabric according to the human skin pH. Levels to avoid any allergic issues for all types of sensitive skins! All staffs are well trained and very professional in the laundry. 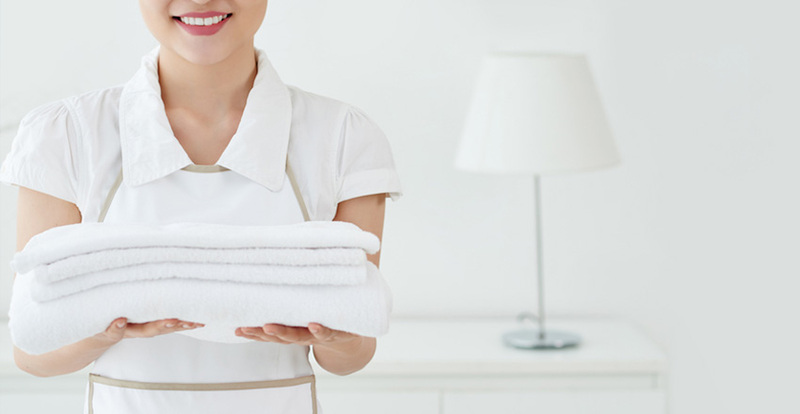 We care all the laundries in a professional way considering cleaning articles must be “Spotless, Odor free & wrinkle free” to avail the laundry service dial 0 and request the operator for delivery and collection of the laundry. Same day delivery for Laundry, Dry Cleaning and for pressing only. Express Laundry & Dry cleaning/pressing services. We provide complimentary scheduled shuttle trips to our private beach, as well as major shopping malls in Dubai and Ajman.